Colossus was the computer at Bletchley Park used during World War II to decipher messages sent between Hitler and his generals. The work carried out by the world’s first programmable electronic computer is thought to have shortened the war by months, perhaps even years (see panel, page 20). However, its victorious reputation was kept secret by the UK government for many years after the end of the war. But one curious computer scientist stumbled across a clue about the machine’s existence and his persistence finally led to the computer being declassified from the Official Secrets Act to be appreciated by the world. Brian Randell, emeritus professor at the School of Computing Science at Newcastle University, followed hints and clues about the machine over many years and his determination was instrumental to unveiling its postwar secrets and giving the credit it deserved. While the story of the Colossus computer has been known for some time, Randell’s story of how he uncovered the secret has only recently been revealed. 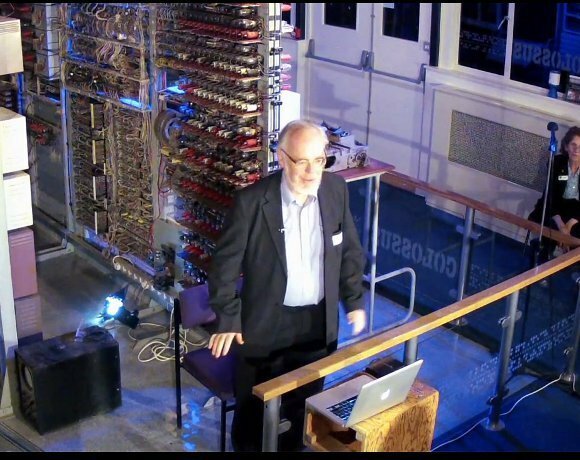 Kevin Murrell, trustee at The National Museum of Computing (TNMOC), attributes Colossus’s rebuild in recent years to Randell’s research and “sheer bloody-mindedness”. But Randell said it was his “excessive curiosity” that drove the project, addressing delegates drawn from the IT industry and academia during an event honouring his achievements at TNMOC at Bletchley Park.